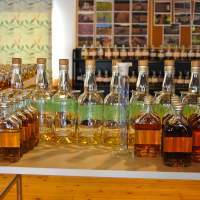 Inside the visitors’ center at Chichibu Distillery, high in the hills of Saitama Prefecture, a hint of sawdust mingled with the aromas of vanilla, dried fruits and honey that filled the air. The wooden structure is the newest building on the site of Japan’s most recently opened distillery, which began producing Ichiro’s Malt whisky in 2008. Since then, the whiskies crafted by owner Ichiro Akuto have won awards at global competitions and inspired cultlike devotion among connoisseurs, fetching as much as ¥50,000 for some of the rarest bottles. I first heard of Ichiro’s Malt a few years ago, when Japanese whiskies were starting to attract attention on the international scene. Apart from the glowing reviews, what had initially intrigued me about Chichibu Distillery was the history of the company. Akuto’s family had been brewing sake for nearly 300 years before his grandfather decided to try to make whisky as a side business. In 1941, he built a sake-brewing facility in Hanyu, near the border of Gunma Prefecture, and got a distiller’s license in 1946. Akuto’s father continued the tradition. After buying two stills from Scotland in the 1980s, he poured his energy into creating single malts — an expensive and risky enterprise. By 2000, the business was ailing and the Akuto family had decided to sell, but the new owners had no interest in producing whisky. The stills were dismantled and the stocks of whisky that remained were put on sale. 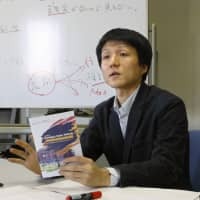 Despite major setbacks, Ichiro Akuto was determined to start again. 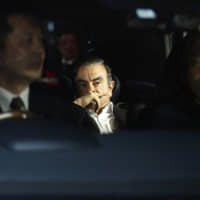 He managed to buy back 400 casks from the Hanyu distillery with the help of local sake producer Sasanokawa Shuzo and founded his own company, called Venture Whisky Ltd., in 2007. While setting up operations at the new Chichibu Distillery, Akuto began bottling the salvaged Hanyu whisky in limited batches and labeling each new release with the name of a playing card. It was a stroke of marketing genius. The final four whiskies in his 52-part Ichiro’s Malt “card series” went on sale earlier this month and have been snapped up by enthusiastic collectors. The most recent release, Ichiro’s Malt: Ace of Clubs, sold out within days, and the price immediately shot up from around ¥9,000 in shops to over ¥30,000 on online auction sites. On the recent sunny afternoon when I visited Chichibu Distillery, I was greeted by chief stillman Masashi Watanabe (pictured above right). 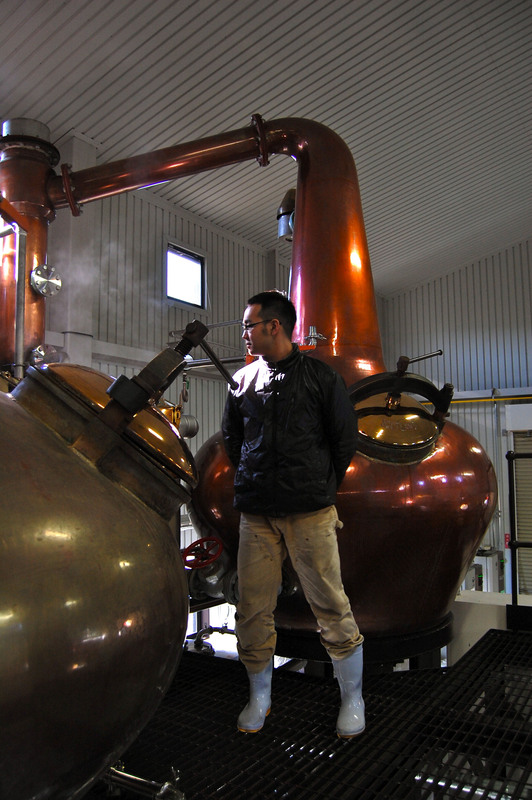 A soft-spoken man in his 30s, Watanabe has worked with Akuto from the beginning and helped him at the new distillery to produce their first whisky, fittingly named Ichiro’s Malt: Chichibu the First. “We have only a small staff, so we’re not really equipped to give tours to the general public,” he told me when I asked if they had frequent guests. Appointments must be arranged by phone well in advance. 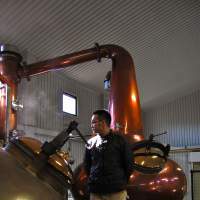 On the way to the main distillery building, Watanabe explained that while most of the barley they use comes from England, Scotland and Germany, the distillery is experimenting with local barley from fields as close as five minutes away. So far they say they have been happy with the results, and in the future they would like to use more Japanese ingredients. Watanabe described the whisky-making process as we weaved our way through the 3,000-liter washbacks (fermentation tanks) made of Mizunara wood, and stopped to lift the lid off of one of the vats. The frothy, beerlike liquid inside had been fermenting for three days and smelled of warm porridge and just-cracked pecans. It would be ready for distillation in another day or so. 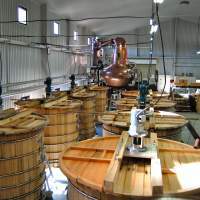 Two short, fat-bottomed copper stills, manufactured in Scotland, sit on a raised metal platform above the washbacks. 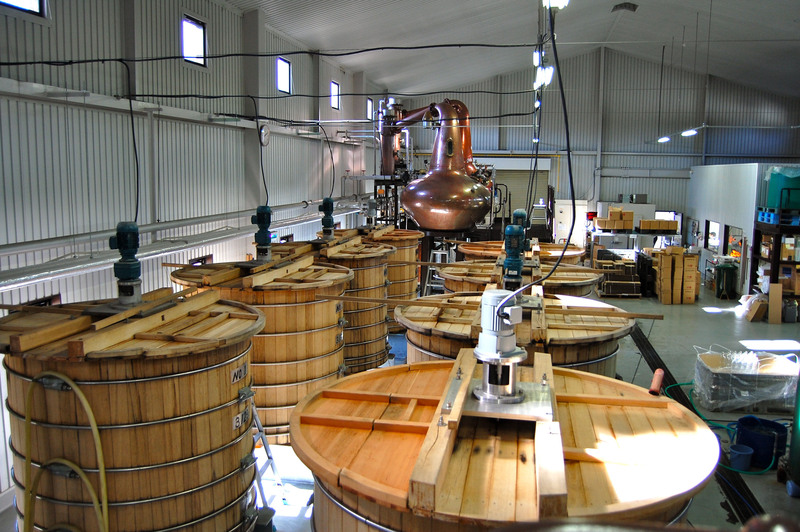 Distillation occurs twice — first to separate the alcohol from the wash, and then again to refine the liquor. During the second distillation the spirit is separated into three cuts — known as the heads, the heart and the tails — but only the middle portion is used to make whisky. The distiller determines the cuts primarily by sniffing and tasting, but also by monitoring the temperature and alcohol levels. But distillation is only half of the story. The real art of whisky making lies in blending together whiskies that have been matured in different casks, and this process is done by taste alone. Back at the visitors’ center, I first sampled a single malt whisky from 2008 not yet on the market. It had been aged in Mizunara casks and had aromas of rum-raisin ice cream, followed by butterscotch and salted-taffy flavors, with sweet spices and coconut in the finish. Next, I tried Ichiro’s Malt: Chichibu the Peated, an earthy, smoky whisky with flavors of bacon and spiced caramel. 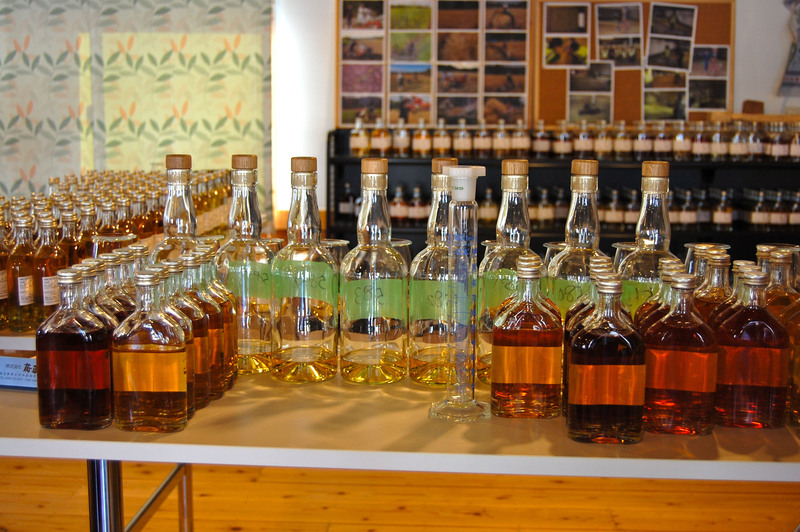 But I spent the majority of my time tasting as many of the hard-to-get card series whiskies that I could. “Is this the last of the ‘card’ series?” I asked, pointing to a bottle of Ichiro’s Malt: Ace of Clubs. Like the rest of Ichiro’s Malt fans, I guess I’ll just have to wait. 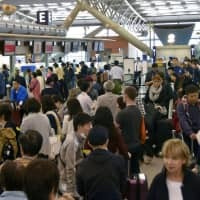 Melinda Joe is an American journalist in Tokyo and a certified wine and sake professional. She blogs at tokyodrinkingglass.blogspot.com. Follow her on Twitter @MelindaJoe.